Cellini’s most glamorous production is the high-point of Italian goldsmith work, featuring in almost every book on the History of Art. Its patron was King François I of France, whose fashionable new palace gave its name to this episode in the history of style – the School of Fontainebleau. Yet how well do we really know it? New colour images taken in Vienna, after its recovery in 2006 from an audacious theft, reveal its intricate details in enamel, almost as if we had it in our hands. Its superb artistry and challenging intellectual content will be instantly apparent. Cellini himself gives a riveting account of its inception, and of its positive reception by the King and negative one by his mistress, Mme d’Etampes. Later it was used as a wedding present for a French princess. 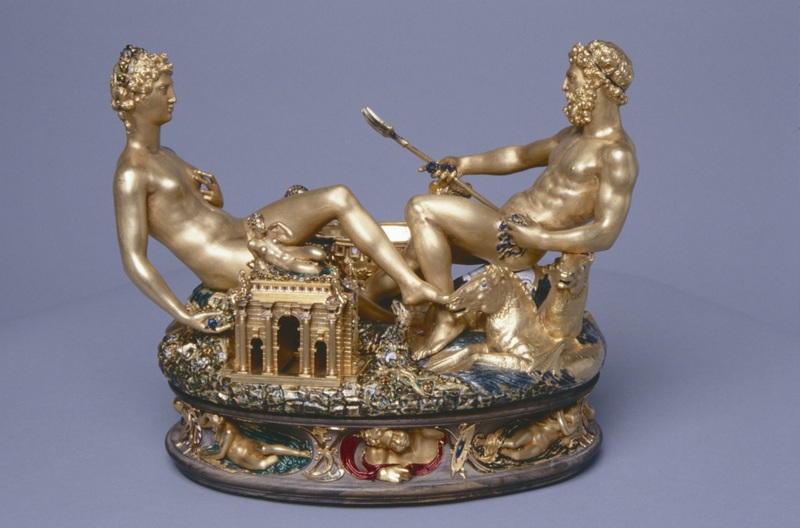 It was then – with a change of owner’s taste – almost melted down, and the identity of the artist was lost, until a perceptive Austrian museum curator in the early 20th Century connected the anonymous, but distinctive, object with the masterpiece so lovingly described by its creator in Cellini’s famous Autobiography. Formerly a Trustee of the British-Italian Society, Charles Avery is a specialist in European, particularly Italian, sculpture. A graduate in Classics from Cambridge University, he obtained a Diploma in the History of Art at the Courtauld Institute and a doctorate for published work from Cambridge. Charles was Deputy Keeper of Sculpture at the Victoria and Albert Museum (1966-79) and a Director of Christie's for a decade. Since 1990 he has been an independent historian, consultant, writer and lecturer. Charles’ books include Florentine Renaissance Sculpture (1970), Donatello: an Introduction (1994), Giambologna, the Complete Sculpture (1987), Bernini, Genius of the Baroque (1997 - paperback, 2006), The Triumph of Motion: Francesco Bertos (1678-1741) and the Art of Sculpture (2008) and A School of Dolphins (2009). His latest book, Joseph De Levis & Company: Renaissance Bronze-Founders in Verona, was published in 2016.